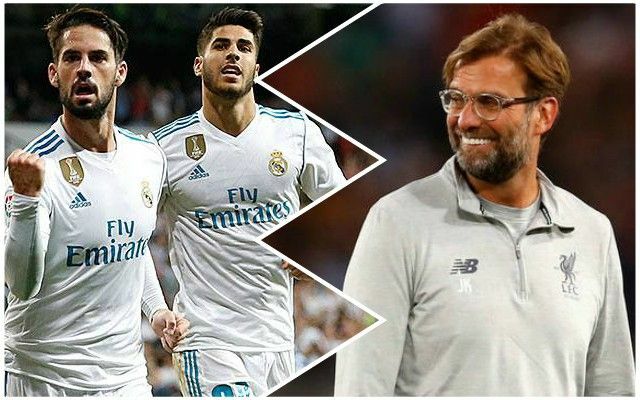 On the surface, it makes no sense that Real Madrid would consider offloading Marcos Asensio, the Spaniard who’s been linked to Liverpool by various sources, including the Mirror. After all, they’ve won the Champions League three times on the bounce, they’re enormously rich and probably the biggest club on the planet. And Asensio is 22-years-old, barbarically talented and has the potential to become one of the best players in the world. But according to Spanish outlet SPORT, who are far more reliable than the likes of Don Balon or Mundo Deportivo, Asensio is one of the players who could raise astronomical money to funds a deal for Neymar. PSG don’t want to sell the Brazilian, but might be forced to if the player demands an exit, something he’s more than capable of, having seen his behaviour at the end of his Barcelona tenure. If he does, we’d be very happy for Real Madrid to go in for Neymar and make one of their best playmakers – either Asensio or Isco – available. Either would be a sensational addition, but would obviously be targeted by all Europe’s other top clubs, as well.